Made with pure, triple-strength vanilla extract, freshly ground Tahitensis vanilla beans from Papua New Guinea, and xanthan gum. No artificial flavors, preservatives or sweeteners added. Certified Kosher. Gluten-free. Non-GMO. Allergen-free. Ingredients: Water, alcohol (20%), ground vanilla beans, vanilla bean extractives, xanthan gum (a natural thickener). Vanilla pastes are rich in flavor, easy to use and a great time-saver. Made with a triple-strength extract and freshly ground vanilla beans, the flavor is intense and carries well when cooked or baked. 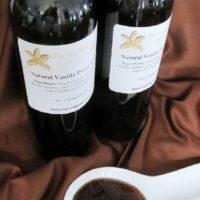 Substitute paste for vanilla beans in custards, ice creams and sauces. Excellent for candy making, as a little paste goes a long way. Use wherever you want vanilla to be the predominant flavor. 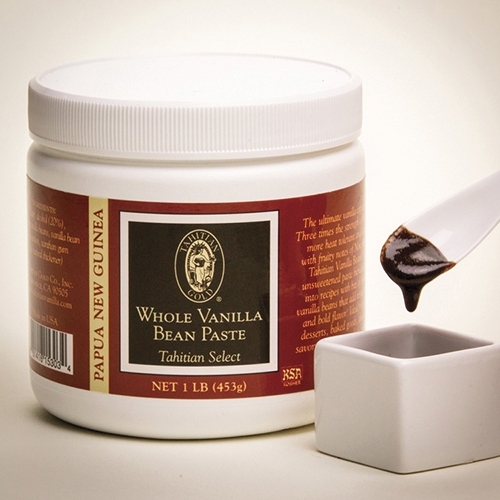 PNG Tahitian vanilla is fruity and floral. An excellent addition to fruit sorbets, and all fruit desserts. Delightful in all cream desserts as well. 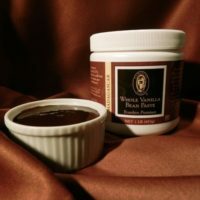 Wondering “What is Vanilla Paste”? Or “How to Use Vanilla Bean Paste.” Find out here.